Most assignments I hand to my students, and with out much guidance, they complete. 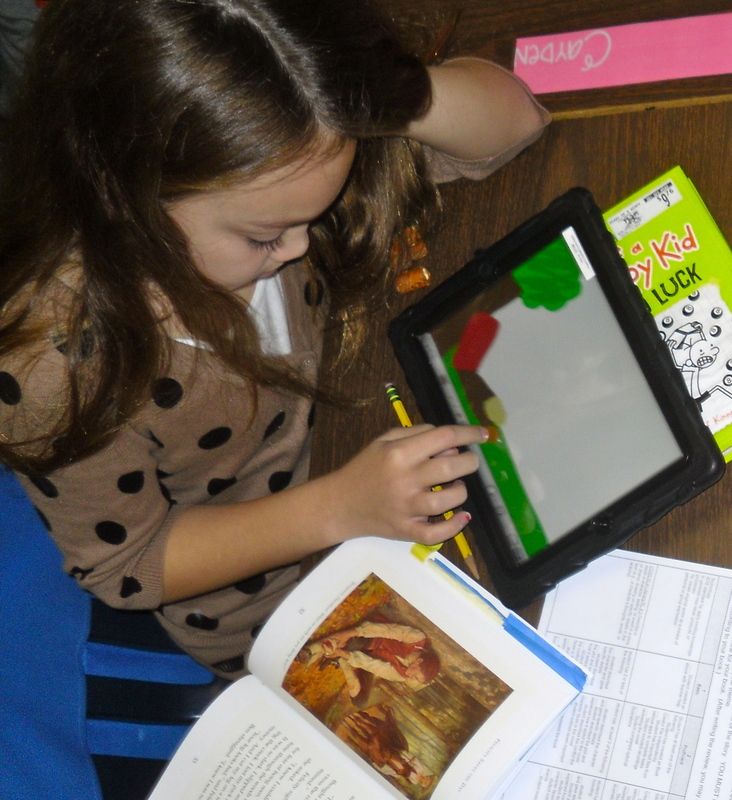 It does not matter what tools are required to complete the assignment, they turn in something. Over the few weeks prior to Christmas break, my class had a big discussion centered around what that “something” should look like and feel like when they turn it in. I often use the word “gibberish” to describe what I don’t want to see turned in. Gibberish looks like something you are ashamed of and often does not make sense. If you are not proud of your work, then what is the use of even turning it in? Some students are internally motivated, usually females have more of this motivation when it comes to school assignments, but many males can motivate themselves as well. As a class, we started a major project focused around novels my students read in class. This project incorporated many apps including: Book Creator, Popplet Lite, Strip Design, Pic Collage, Doodle Buddy and even iMovie. At the end of the project, students were supposed to have an ebook that focused on different aspects of their novel. The rubric is below. 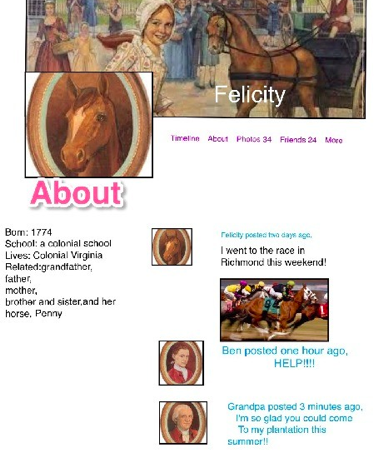 To begin the project, our class created a character “Facebook” page using Strip Design. I showed them what this should look like and then gave them time to complete the page (We had never completed a Facebook page in class before). This is a pretty traditional way of teaching and giving responsibly to students, the teacher shows, students do while the teacher monitors individual students. I believe students should have more responsibility and be able to complete assignments independently once they have completed a similar task. 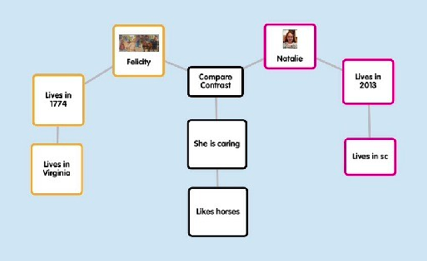 We have done projects with Book Creator, Popplet Lite, Strip Design, Doodle Buddy and Pic Collage before, and I wanted to students to use those experiences to complete this project with very little guidance. When students grow up, their boss isn’t going to say, “Your sales report is due Friday,” and then sit with them to make sure their report is adequate. Adults learn a task, and after mastering this, complete the task on their own. When I saw what students were creating and ready to turn in without my immediate guidance, I was disappointed to say the least. I posed a question to them that turned out to be very valuable. I asked, “Who in here would feel proud to turn in their assignment today? If I asked you to turn your project in at this instant, who knows they worked hard and would feel like they could not improve their project any further?” No hands went up. That was because the students were not proud of their work. They new it was sub-par as did I, and a lesson needed to be learned. I could have given most students a low grade and called it the week before Christmas break, instead I gave them time. Students pulled out their rubrics and requested an hour to work. For an hour, I heard very little sound in the room and most students did not request my help. When the vast majority of students no longer needed time to work, I posed the question again and many hands went up. Now, I know students understand the value of putting time into a project and having a strong sense of pride in their work. Although, I have been scaffolding and showing them how to create a project to be proud of, they had yet to do a project on their own and have pride in it. Students need to have a sense of pride in what they do and create. We can make excuses that they are too young or don’t understand the worth of their time or projects, but they do. Going forward I am going to challenge them to be proud of their work even if they are completely independent. What is the point of doing something, if we don’t put effort and time into it? As educators we must ask ourselves, are we giving our students an opportunity to develop as individuals and using time wisely in the classroom?